As a home or business owner, there is always plenty to keep you occupied when it comes to ensuring that your property is generally safe, functional and in good condition. One of the most important things to keep on top of is the electrical safety and functionality of your building: after all, if there’s one thing in our modern lives which simultaneously provides maximum inconvenience when it is taken away, and maximum danger when something goes wrong, it’s electricity. 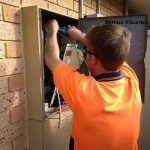 Once you’ve decided that you’re going to call out a residential or commercial electrician, Thornlie offers a wide range of options. But first, there’s the task of determining when you need a professional. 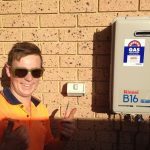 Thornlie residents and businesses should always bear a few crucial things in mind when trying to decide whether or not it’s time to call out a professional electrician. For one thing, it’s always a good idea to have older properties checked over as soon as you move into them. Whilst they’re often fine, it’s nonetheless true that many fixtures, circuits and sockets which were once considered perfectly safe and practical, are now either inefficient or actually unsafe – and require swift replacing. You can also tell that it’s time to call an expert if you notice that your lights have begun to flicker or wane, or that the areas around your sockets and other electrical outputs are noticeably warmer to the touch than other surfaces in your building. 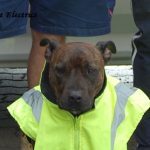 Whilst these issues may not seem to be urgently important, if they’re not dealt with then they can quickly develop into larger problems further down the line. 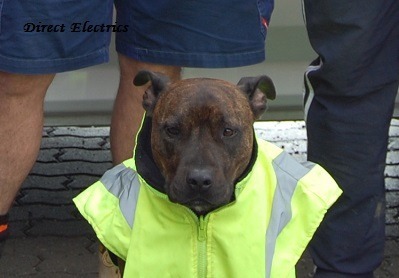 Of course, you should also always be sure to hire a professional commercial or residential electrician in Thornlie if you’re planning any electrical wiring, rewiring or repair work, or if you want lights, cables, smoke alarms or air conditioning units set up. In fact, Australian regulations stipulate that absolutely all electrical work must be carried out by a professional electrician in order to earn certified status – something which isn’t necessarily true in other parts of the world. Furthermore, state regulations here in Western Australia mean that all properties must be fitted with an acceptable number of safety switches and smoke alarms before they can be sold, meaning you should always have a professional electrician check over your home or business before putting it on the market. If any of the above circumstances apply to you, or if you think you may require absolutely any other electrical installation, maintenance or repair work, be sure to get in touch with the team here at Direct Electrics. 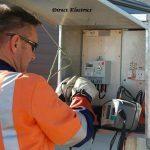 We’ve been the commercial and residential electrician Thornlie locals can trust ever since we were founded over a quarter of a century ago, and we continue to take pride in offering superior electrical services at highly reasonable prices. Simply contact a member of our helpful and friendly team today if you’re interested in learning more about our services or arranging a visit from one of our highly trained electrical experts.